W. W. Norton & Company, 9780393330021, 158pp. What do the Bari Pork Store (King of the Sausage), the Los Doctores Tires Shop, the Great Eagle Photo Company, and the St. Jude Religious Articles shops have in common? 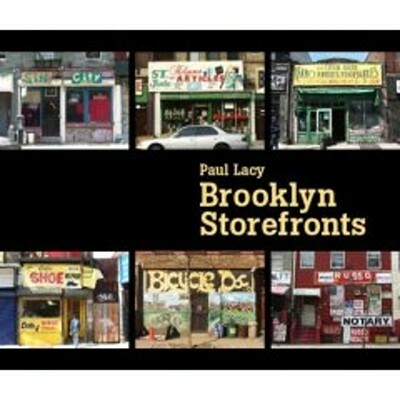 If you were Paul Lacy, they would be among the hundreds of storefronts you photographed on bicycle trips throughout Brooklyn. Over the years Lacy has managed to capture every conceivable type of shop, decorated with spectacular and wildly varied signs and displays and representing countless ethnic groups. A more colorful array of graphics, both amateur and professional, is unimaginable. Brooklyn's storefronts are a vibrant canvas that reflects the changing trends and distinct character of this dynamic community. You don't have to be from Brooklyn to enjoy this book--playful while documenting a fast-changing scene, it transcends geography to speak to anyone with an interest in urban culture.